Our Campus Sartorialist from University of Florida, Jennifer, caught Kelsey right before an interview. Kelsey's wearing an awesome striped blouse from Macy's (Check out more from #MacysCampusTour here) and a bright yellow pair of khaki's from Gap. 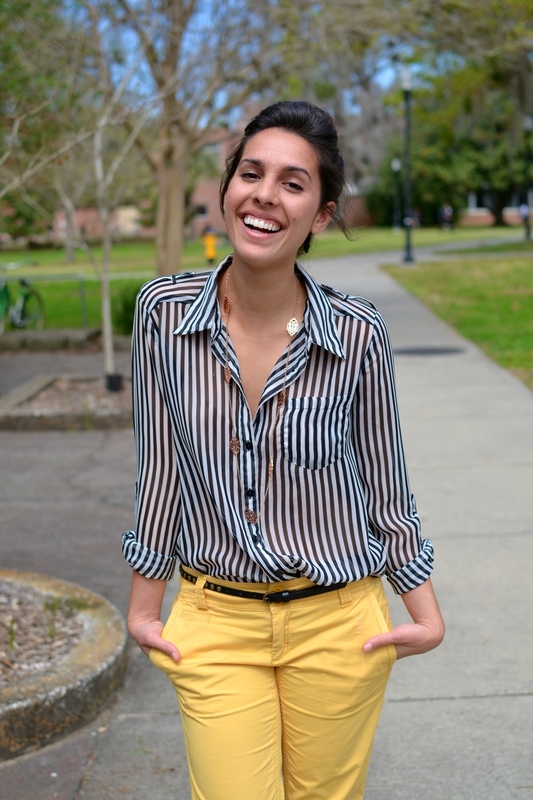 Kelsey is wearing a Sheer Striped Blouse from Macy's and a pair of yellow Piped Khakis from Gap. Posted on March 13, 2014 by Campus Sartorialist and filed under Women, UF, FL.